The Ford Focus ST is powered by a turbocharged and intercooled DOHC 16 valve 4-cylinder engine, mated to a 6 speed manual transmission. With 252 horsepower, the Ford Focus ST is capable of a zero to sixty time of 6.3 seconds, and a quarter mile time of 14.9 seconds. 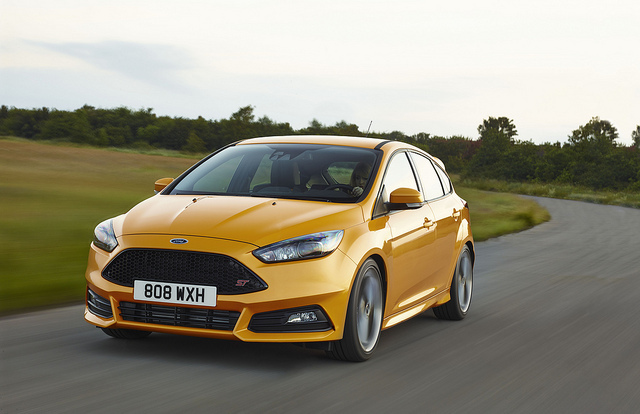 When pushed to it’s limits, the Ford Focus ST reaches a top speed of 154 mph in 38.7 seconds. It’s stiff subframe and springs give the Ford Focus ST a tight, smooth ride; capable of handling sharp curves with ease. Electronically assisted steering, actuated via a flat-bottom steering wheel, adds to the smoothness of the ride. This car handles like a dream at all speeds!